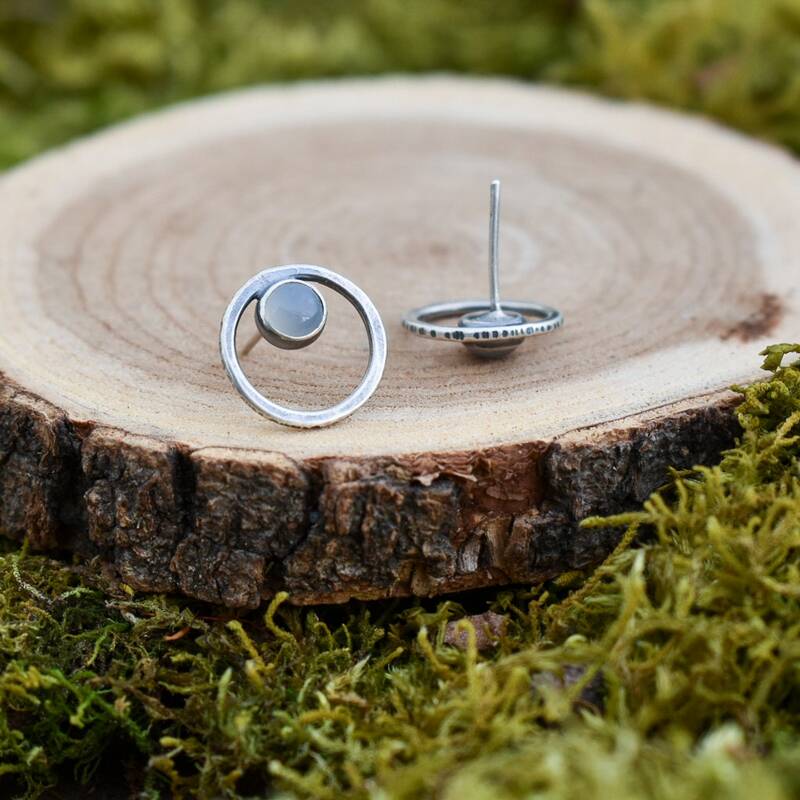 These minimal with-a-hint-of-forest earrings feature two sterling silver, hammer bark textured loops that are cut, textured, and formed by hand. 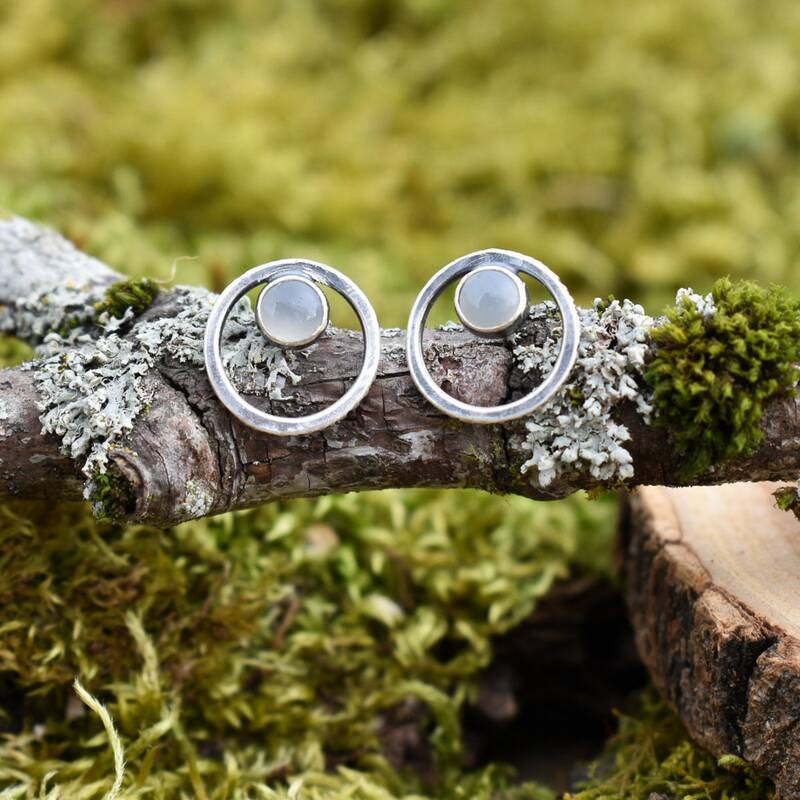 Each loop contains a milky gray moonstone with sterling silver posts soldered to the back. A dark patina accentuates the design. 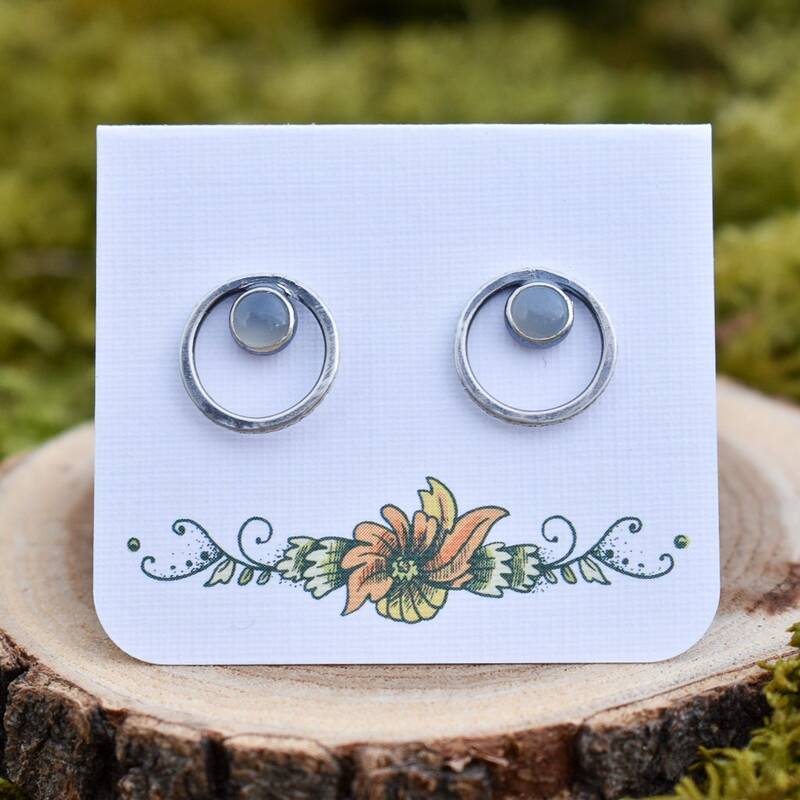 These earrings were created completely by hand from sterling silver using traditional silversmithing techniques. 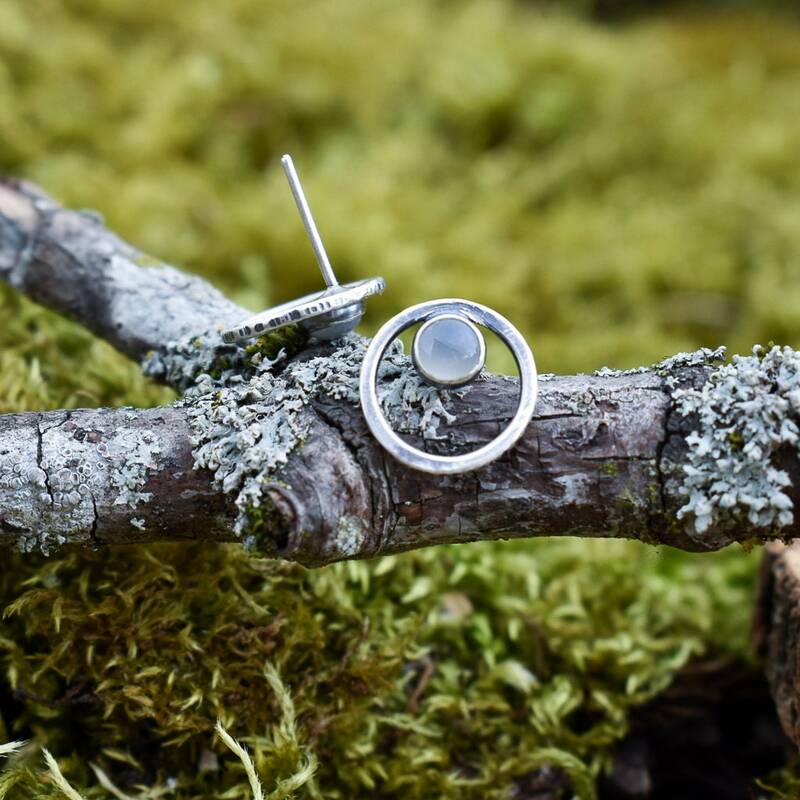 Your treasure will arrive nestled amongst ethically foraged forest floor ephemera within a translucent box and carefully packed with recycled shipping materials. Two plastic ear nuts for security while wearing are included.